Occupy normal position in the arches far more often than teeth because they are the first permanent teeth to erupt. The study models were assessed from the archives of pretreatment orthodontic records of the patients. The study models with ideal posterior intercuspation were identified and their lateral cephalograms were included in the study. A total of fifty lateral cephalograms of Class I [Figure 1] and [Figure 2], fifty Class II [Figure 3] and [Figure 4], and fifty Class III [Figure 5] and [Figure 6] cases were recruited retrospectively based on the inclusion criteria. 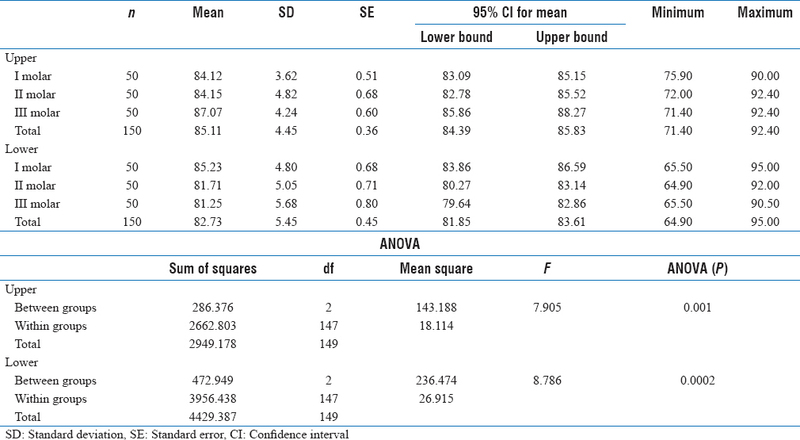 In patients with Class I molar relation, the mean inclination of maxillary molar is 84.12° and mean inclination of mandibular molar is 85.23 [Table 1]. Post hoc test was used and multiple comparisons were done [Table 2]. 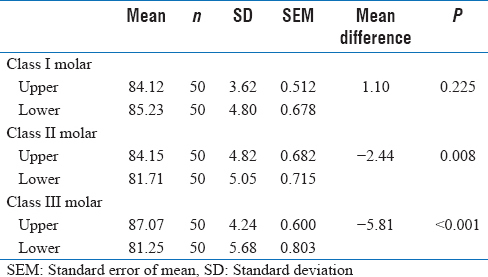 When the inclination of maxillary molar was compared between Class I and Class II, the P value obtained was 0.999, showing that the data obtained were not statistically significant. 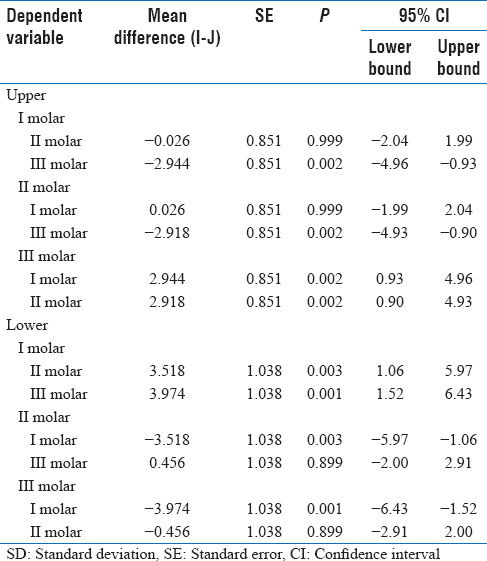 This indicates that there is no difference in the inclination of maxillary molar in cases of Class I and Class II molar relation [Table 3]. This helps in achieving an ideal cusp-to-fossa relationship, thereby stabilizing the occlusion. Su H, Han B, Li S, Na B, Ma W, Xu TM, et al. 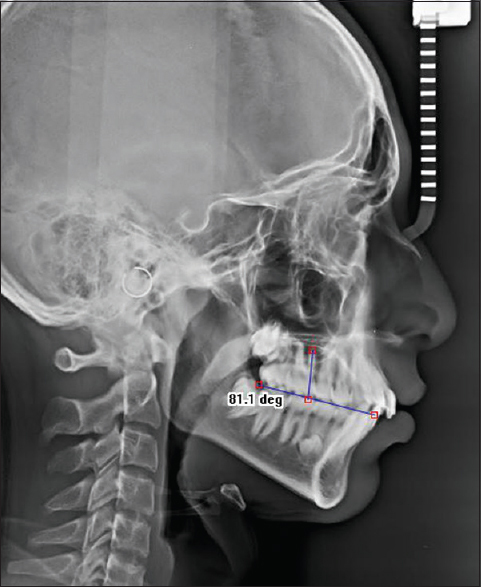 Compensation trends of the angulation of first molars: Retrospective study of 1403 malocclusion cases. Int J Oral Sci 2014;6:175-81. Kamble R, Hazarey A, Hazarey P, Singh J. 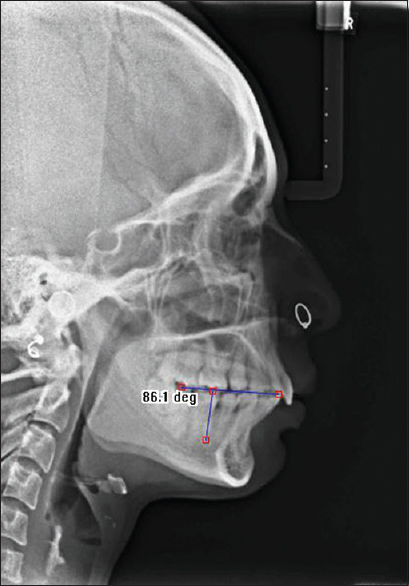 Assessment of positional variation of maxillary permanent first molar with respect to the infrazygomatic crest(key ridge) in skeletal class I, II and III cases. World J Dent 2013;228-34. 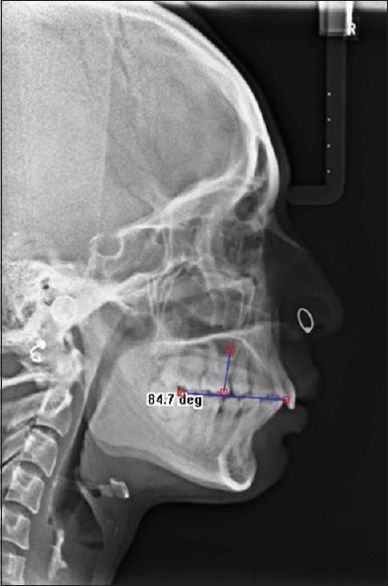 Jesuino FA, Costa LR, Valladares-Neto J. Mesiodistal root angulation of permanent teeth in children with mixed dentition and normal occlusion. J Appl Oral Sci 2010;18:625-9. Nouri M, Abdi AH, Farzan A, Mokhtarpour F, Baghban AA. 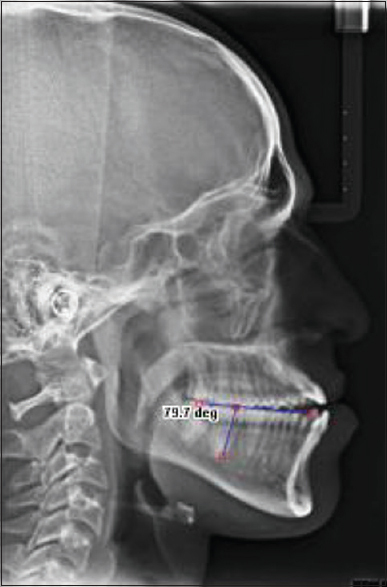 Measurement of the buccolingual inclination of teeth: Manual technique vs. 3-dimensional software. 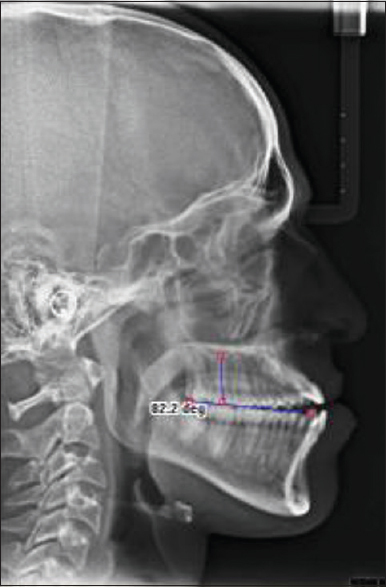 Am J Orthod Dentofacial Orthop 2014;146:522-9. Kannabiran P, Thirukonda GJ, Mahendra L. The crown angulations and inclinations in Dravidian population with normal occlusion. Indian J Dent Res 2012;23:53-8. Dewey M. Classification of malocclusion. Int J Orthod 1915;1:133-47. Anderson GM. Practical Orthodontics. 9th ed. St. Louis: CV Mosby; 1960. p. 144-50. Bennet NG. Report of the committee of orthodontic classification. Oral Health 1912;2:321-7. Angle EH. Classification of malocclusion. Dent Cosmos 1899;41:248-64, 350-7.